Download Free Hospital and Pharmacy Roll-up Banner PSD. 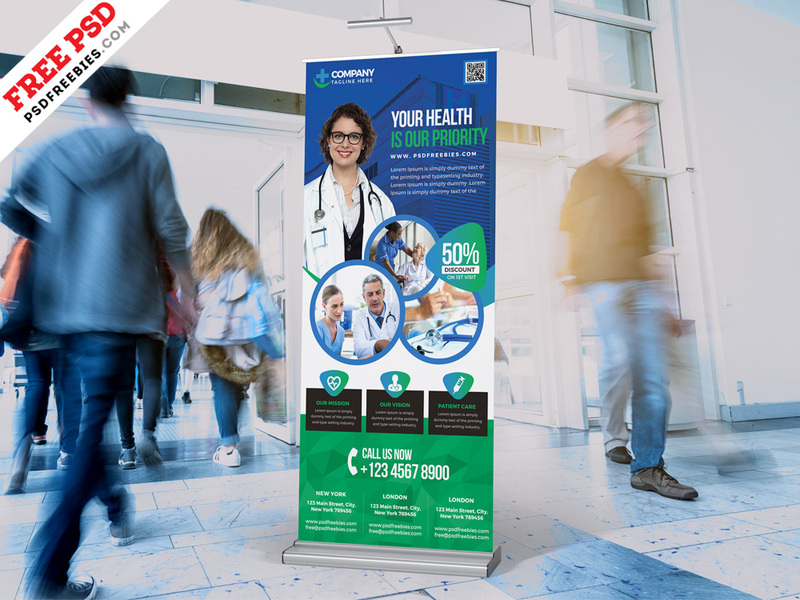 This Hospital and Pharmacy Roll-up Banner PSD is perfect for Health Care Business as like medical clinic, dental clinic, hospital, Patients Treatment service. You can insert your own brands, Logo, images, and text using Adobe Photoshop. This Free PSD File is Fully Editable. It is Very easy to use and customize. This template download contains 30×70 inches, 200 DPI, Print-Ready, CMYK, Layerd PSD file. This Hospital and Pharmacy Roll-up Banner PSD is available for Free Download.